You know what I hate about YouTube videos? You go on to try and learn about something, and so many of them utterly ruin the experience by playing some kind of obnoxious intro or loud music. Not these guys. Not this in-depth video of an engine block. 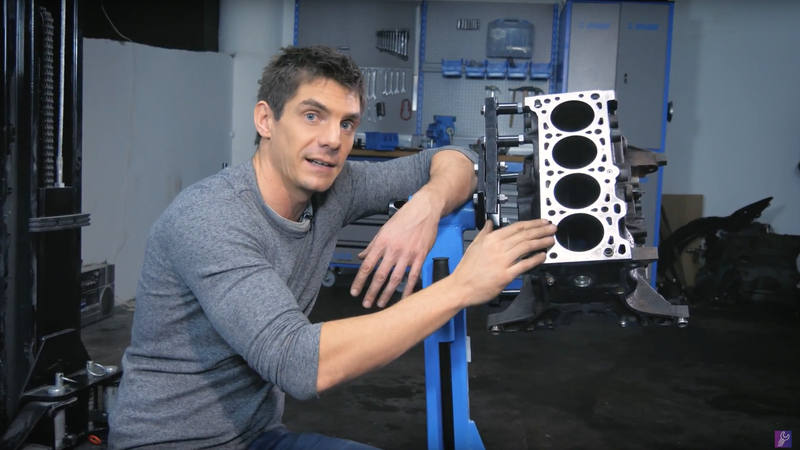 The folks behind the How a Car Works channel uploaded this video today that is filled with all of the information that you’d ever need to know about engine blocks. The host has a block from a 2001 Mazda Miata and he goes through and points out what each port and hole is for. If you are a visual learner like me, this is just spectacular. The best part? It’s only a guy talking about an engine block, with an actual engine block to illustrate what he’s talking about for nearly 18 minutes straight. Nobody yells at you to LIKE SUBSCRIBE AND SHARE at the end. It’s like a college lecture. Except not boring and free. Why Can&apos;t I Make My Own Engine?